This is the time of year where I have to exert the most self-control—Easter candy is my weakness. Somehow the combination of pure sugar (jelly beans) and melt-in-your-mouth-chocolate (Hershey’s Eggs) just does me in. For it is with the death of Christ that all of humankind was given a chance for a new beginning in a relationship with God. Why are new beginnings important to me? Because we all need them. They signify a second chance, a fresh start, a life to be lived in the full. God is our second chance. It is through a relationship with Him that we will find the perspective and strength for the new day. What do you want to begin anew in your life? A renewed committment to your marriage? A new beginning in your faith? A new life breathed into your career? A renewed spirit during a time of long-suffering? A new hope and effort toward healing a strained relationship? A new beginning for something that ended in a difficult way? Our God is a God of second chances, because He is always pursuing us, hoping we will take Him up on His offer for a new beginning. and for eternity I will walk with Him in paradise. In his final moments of life, Jesus surrendered himself for our sin, paying the price so that we have a clean slate before God, if we choose to accept this gift of his son, the gift of a new life. Will you celebrate this Sunday new beginnings with me? …And then begin a new diet with me after my Easter candy epic splurge? It’s Friday, but SUNDAY is coming. Good Friday. Passover. Bread. Wine. Betrayal. A crown of thorns. A cry to God. Click here and read it for yourself right from the Bible, it’s about 3 pages, you can do it! It’s worth it! You just may be surprised at the new details that stick out to you. It seems to happen to me every time I read the story again. Singing Hymns. Praying. Sweating Blood. Betrayed. Arrested. Denied. Sentenced. Crowned. Mocked. Spit on. “At noon, darkness came over the whole land until three in the afternoon. And at three in the afternoon Jesus cried out in a loud voice, “Eloi, Eloi, lema sabachthani?” (which means “My God, my God, why have you forsaken me?”).” Mark 15:33-34 Jesus was a Jew. He knew all their history, psalms and he knew the Jews would know exactly what it meant when he said LOUDLY, “My God, my God why have you forsaken me?” It was referring to this psalm 22.
you are the one Israel praises. before those who fear you I will fulfill my vows. Curtain of the temple TORN. Body laid to rest. Boulder Set. 3 days. Jesus finds his 11 FRIENDS. “Later Jesus appeared to the Eleven as they were eating; he rebuked them for their lack of faith and their stubborn refusal to believe those who had seen him after he had risen. Jesus returned to his Father. All the scripture is from the New International Version, emphasis added by me. It’s Friday but Sunday is coming. I have been reading John Pipers book called The Passion of Jesus Christ; Fifty Reasons Why He Came To Die. It has been an encouraging read in getting my head wrapped around why Jesus had to die and what is the big deal about Easter in the Christian faith. I have put the opening scripture that John Piper starts his book off with and then added part of the introduction. You can download this book for free at John Piper’s web site. I hope where ever you are in your faith journey that this book will encourage you. I know it has been encouraging me! If you are just checking Jesus out, this is a great philosophical read. I hope you have a wonderful Easter. He has risen, conquered sin and death for you and for me. Jesus did not save us when we had it all together, but he died for us while we were living in sin. He loves you and me. There is nothing, not one big bad thing in your life that Jesus’ blood can not wash away. He loves you, right now, the way you are. He is our righteousness. He stands at our door and knocks, if you open the door, he will come in. Below is the scripture and the introduction to John Piper’s book. If you don’t have time to read it now, find a minute this week to curl up with a cup of coffee and read this if you can. It’s so good. a man of sorrows, and acquainted with grief . . .
we esteemed him stricken, smitten by God, and afflicted. so he opened not his mouth. . . .
stricken for the transgression of my people. . . . There was no deceit in his mouth. answer to the question, Who crucified Jesus? is: God did. him up for us all” (Romans 8:32). “God put [Christ] forward . . .
by his blood, to be received by faith” (Romans 3:25). for evil, but God meant it for good (Genesis 50:20). What Does the Word PASSION Mean? of Jesus Christ. The word comes from a Latin word meaning suffering. How Was the Passion of Jesus Unique? the Roman Empire, and to this day is shaping the world? to vindicate what his death achieved. the Word, and the Word was with God, and the Word was God. him, and without him was not any thing made that was made. . . .
Then add to his deity that he was utterly innocent in his suffering. Not just innocent of the charge of blasphemy, but of all sin. chose to die. His Father ordained it. He embraced it. forty days before his ascension to heaven (Acts 1:3). were not gullible primitives. They were down-to-earth tradesmen. the resurrection of the God-Man, into an indestructible new life. 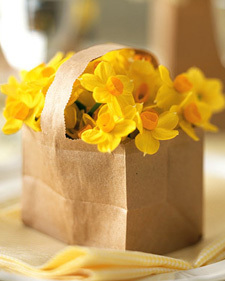 Try a twist on Easter baskets, and make a paper basket bouquet for every place setting. Basket Bouquet How-ToAll you need are small brown paper bags and baby-food jars or shot glasses to hold the flowers for individual place settings. 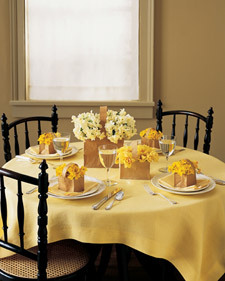 A centerpiece requires a larger bag and a mason jar or drinking glass as a vase. The bags you use must be gusseted, with side pleats and a flat bottom. 1. 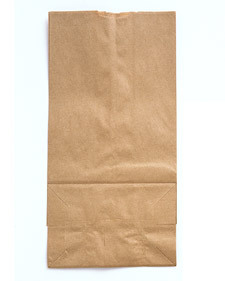 Draw lines on a bag to make an upside-down T with a fat horizontal bar. 2. Cut along the lines with decorative-edge scissors. Open the bag. Arrange a bouquet of fresh flowers in a vessel of water; set bouquet inside the basket. Join the two halves of the handle with double-sided tape. I found this on MarthaStewart.com. Not having as many Easter decorations as I would like, I thought these were so cute and easy—the kids would love to help create this! 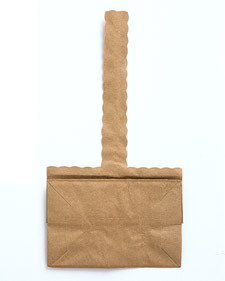 An added thought–create little bunny or cross tags with guests names to tape to the bags or hang from the handles. Happy Easter!